Toolless blade change system. (with electronic control + speed dial). 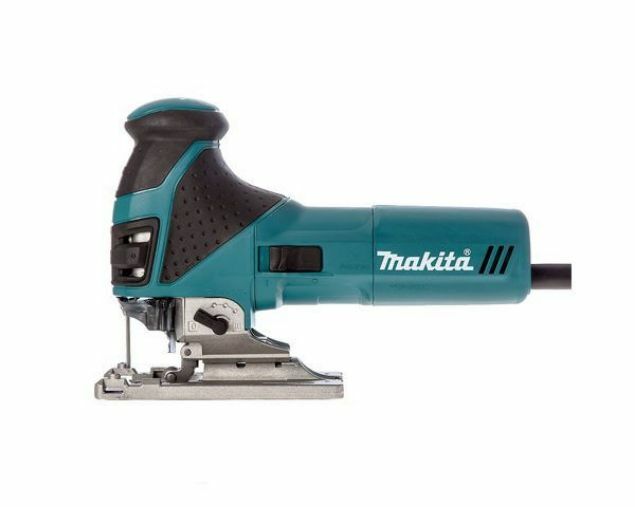 Electronic speed control maintains consistant speed set for various workpiece. 3 orbital settings plus straight cut. Built-in LED job light for easy tracing of cutting line. Plastic cover plate can be attached without tool. Low vibration and low noise level. 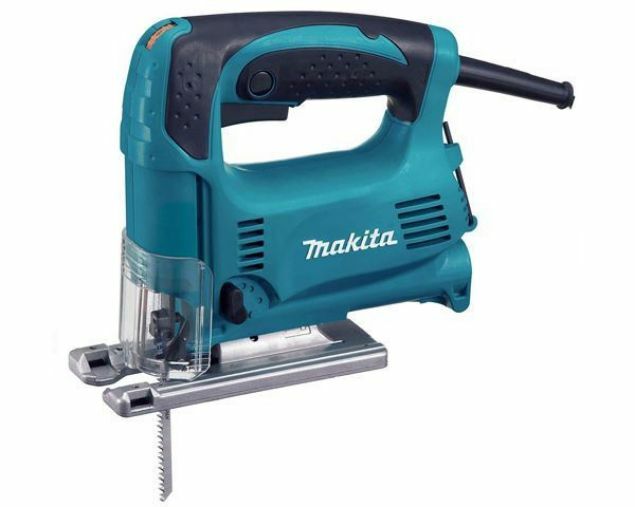 Double Insulation, Variable Speed, Orbital Cutting, Bayonet Shank, Dust Collecting, Soft Start, Constant Speed, Built-In Light and Carry Case. Blower function removes sawdust Can be used with optional guide rail. Desined to cut in line with the body of the tool. 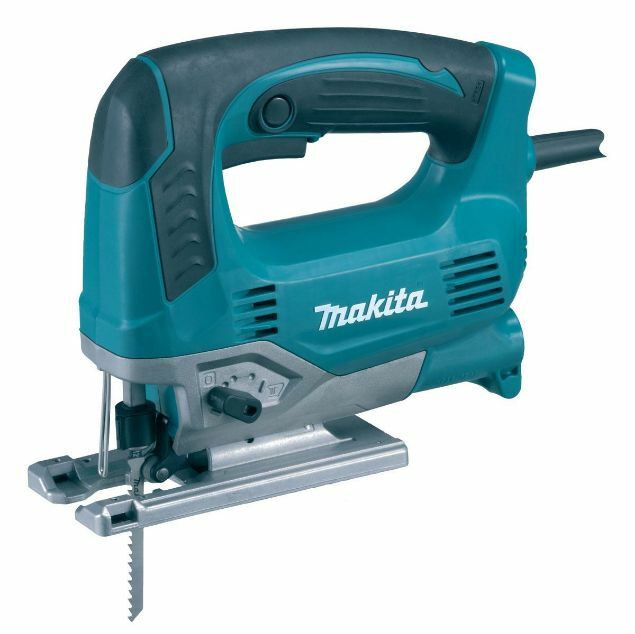 Ideal tool for cutting in small spaces, eg motor vehicle bodies. Extra-low vibration and extra power. 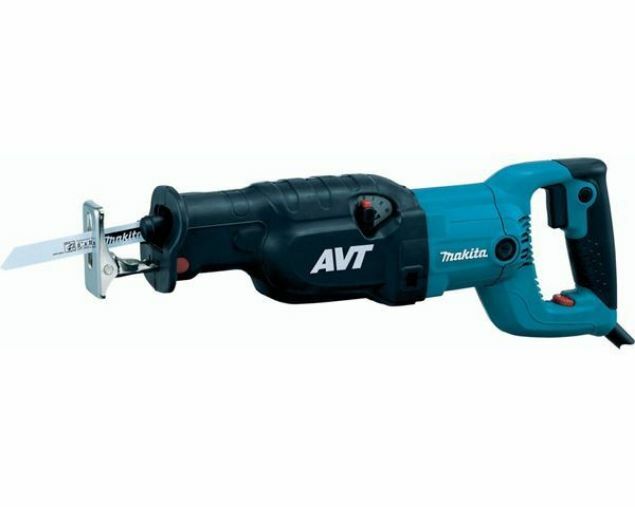 Feel its comfort with this machine featuring AVT; counterweight mechanism which helps to reduce vibration. 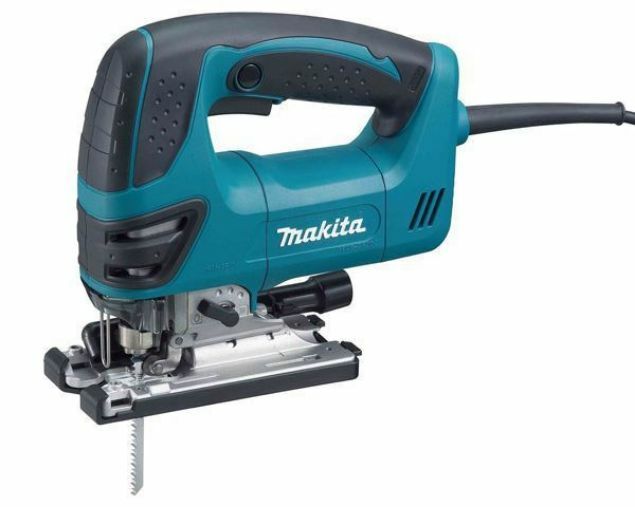 Makita's top-end powerful recipro saw. Preset dial for speed control for optimal stroke speed for application. Ergonomically designed handle with rubberized soft grip provides more control and comfort. Low vibration and low noise level. 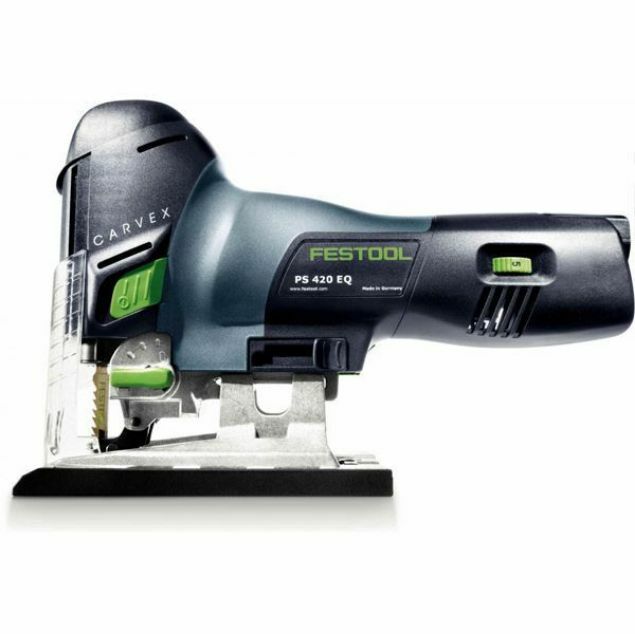 Double Insulation, Variable Speed, Orbital Cutting, Soft Start, Constant Speed, Torque Limiter, and Carry Case. Powerful and Maneuverable. Toolless blade clamp. Best possible ergonomic handle. Aluminium support housing. Change lever for 3 orbital settings and straight cutting. Connectable to Vaccum cleaner using optional hose. Double Insulation, Variable Speed, Orbital Cutting, Bayonet Shank, Dust Collecting and Carry Case.